For 30 years, Himalaya’s health and wellness products have long been synonymous with human aspiration and ideals. 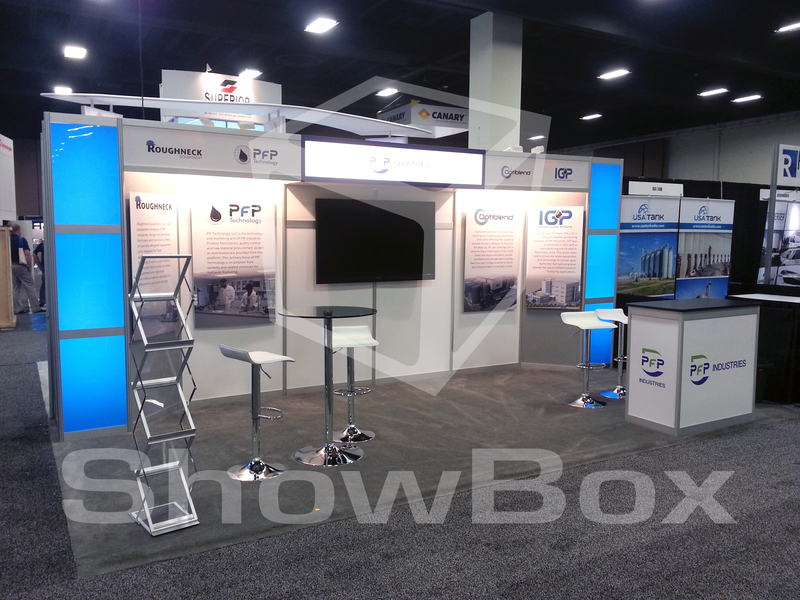 So when the Company approached ShowBox Exhibits to partner with them on a new booth design, there was no doubt that its logo and namesake had to be central to the exhibit. 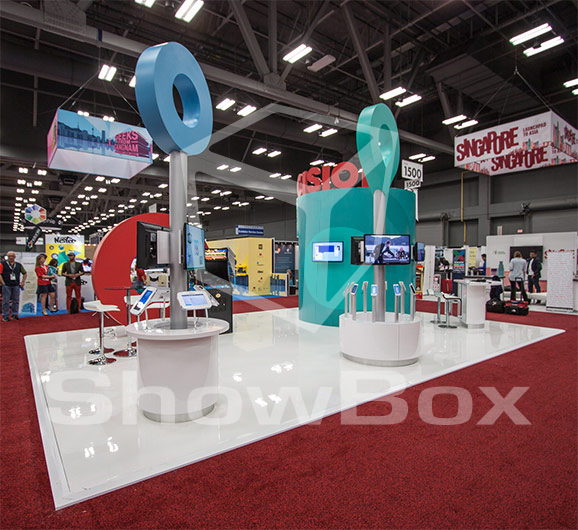 When ShowBox and Himalaya collaborated on its vision of a 20-foot tall booth, they knew it had to incite inspiration and passion. The question was: how do you inspire people in their climb towards optimal health and wellness? 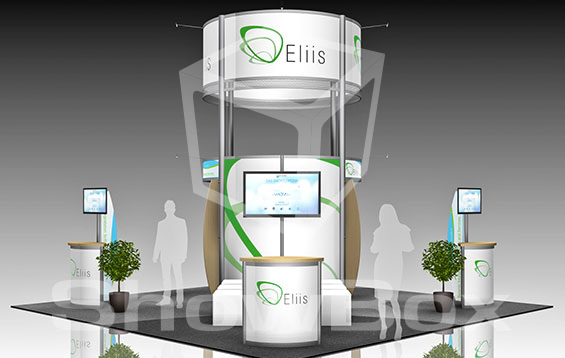 The team agreed to create a massive mountain graphic as the focal point of the towering booth. But selecting just the right image (and one that could be resized with optimal resolution) was a major consideration. 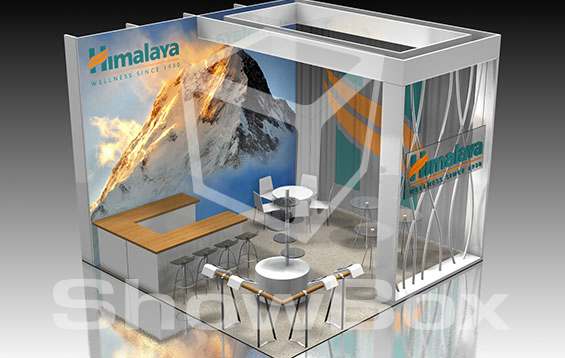 Reflective of Himalaya’s name, the team decided on an image of a sun-kissed majestic mountain, one that symbolized the human spirit’s desire to achieve and attain their goals. 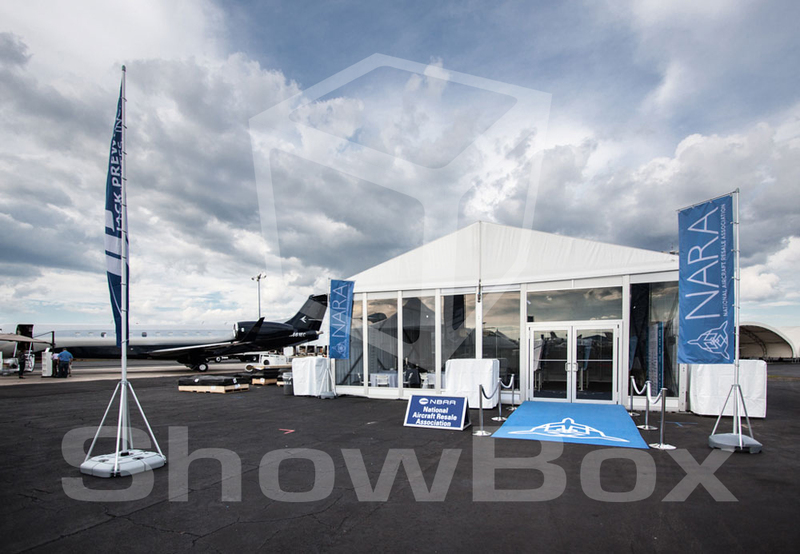 With advanced in-house printing capabilities, ShowBox resized the image to fit a 20×20 format, and added Himalaya’s logo at the top of the image. 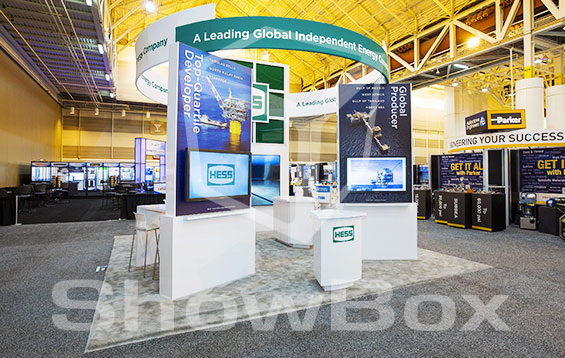 To enhance the height and stature of the booth, ShowBox created an aluminum rectangular beam with fabric overlay starting at the height of the booth and extending downward to the entry point. 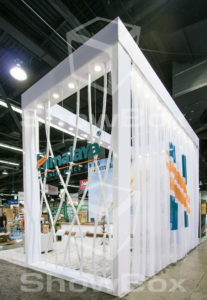 A stark white curtain printed with an enormous Himalaya logo added professional flare and served as a secondary backdrop to the meeting space within the booth. 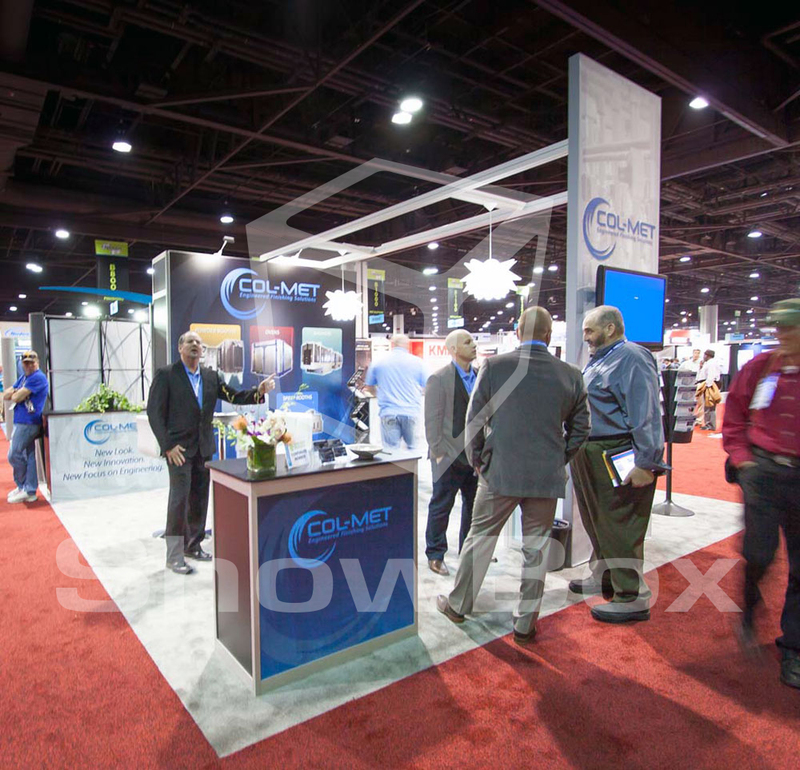 To complete the functional aspects of the booth, ShowBox custom-crafted a U-shaped reception desk, an interactive tablet bar, and a multi-layered display case to showcase the client’s formulas, herbs, vitamins, etc. 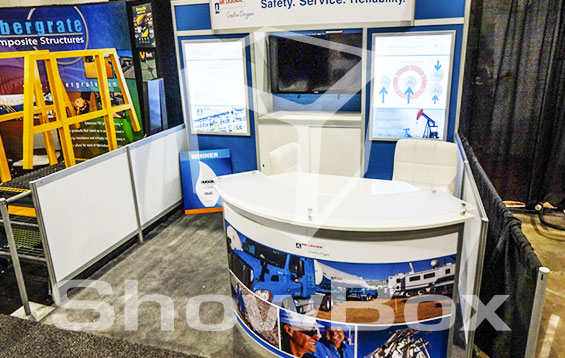 Special track lighting was installed to outline the booth and highlight the giant graphic.